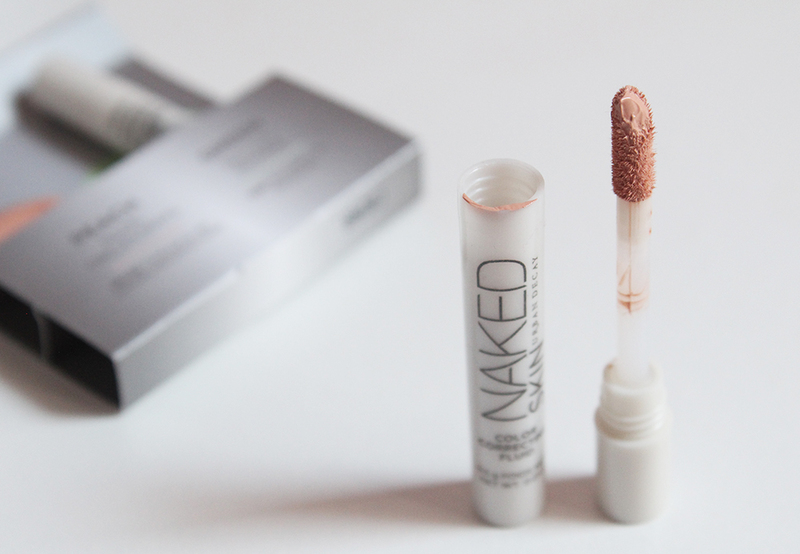 My sleep schedule has been out of whack for a couple of weeks so I thought it'd be a good time to try out the Urban Decay Naked Skin Color Correcting Fluid in Peach. I made a few Sephora orders during the friends and family sale and they had this little duo among the free sample options. Don't you love when brands make well-packaged samples that you can use more than once? 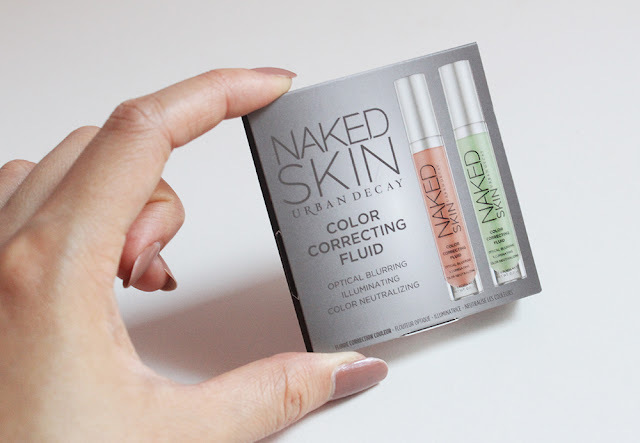 When the Urban Decay Naked Skin Color Correcting Fluid launched early this year, everyone seemed to be a fan so you can say my expectations were high. The correctors come in five shades: green, yellow, peach, lavender and pink. Each tube is $28 which I think is pretty expensive for a mid-range brand like Urban Decay. Can we take a second to appreciate the packaging of this sample tube? I've been using this sample a couple of days over the last two weeks and I haven't needed to scrape around the tube for product yet. I love the doe foot applicator because it makes applying the concealer exactly where I need it a breeze. I usually only conceal under my eyes and around my nose and let my foundation, BB cream or tinted moisturizer take care of the rest. If you really wanted to, I believe you can use the peach corrector under or over your usual concealer to add more of a brightening effect. I don't have time for a two-step concealer routine so I'm glad this isn't too peachy to the point of looking weird under my eyes. You can see from the before and after that just a sheer layer of the corrector brightens my skin just the right amount. 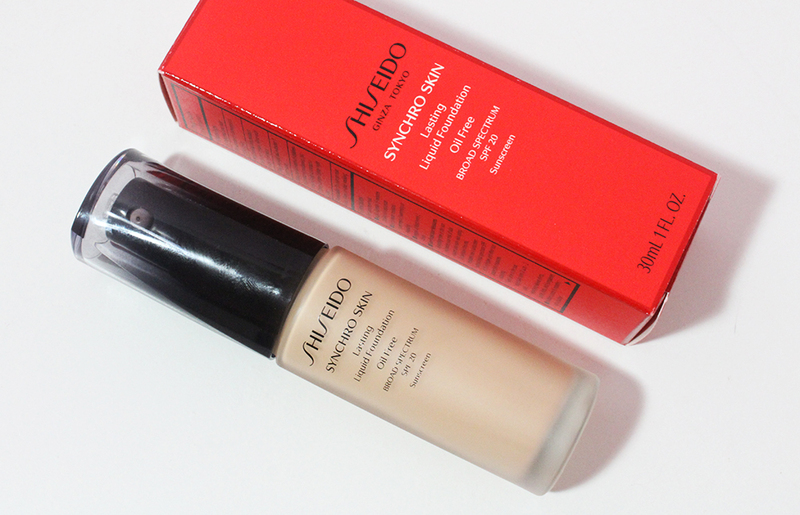 The corrector has light to medium coverage and the fluid is smooth and ever so slightly creamy. 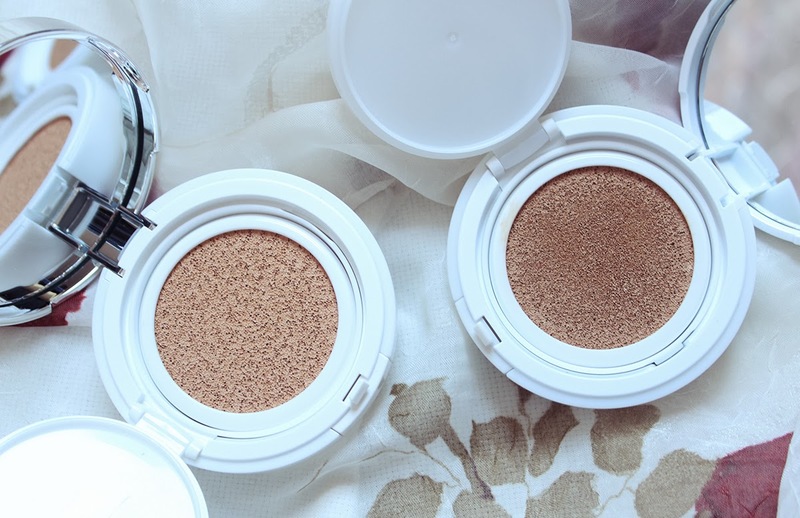 The coverage is less than my HG Laneige BB Cushion Concealer and is less creamy as well. I usually apply a few stripes of this under my eyes using the applicator, blend it all out with a domed concealer buffing brush and then tap everything in place with my ring fingers. The heat from my fingers really helps everything meld together and my fingers can lift off any extra product. Wear time is where this concealer falls a little short for me. On days that I do wear makeup during the work week, I have makeup on for over 12 hours so I need my base makeup to last. This product sinks in ever so slightly into the fine lines under my eyes, even after a dusting of powder. By the end of a long day, my under eyes don't look very corrected anymore, though they still look better than before I had put on any product. Overall, I like the peach toned Urban Decay Naked Skin Color Correcting Fluid but it still doesn't top the Laneige BB Cushion Concealer. If you don't need your makeup to last more than eight hours or you intend to use this to supplement a more long lasting concealer, this is a nice corrector to have on hand. Do you swear by color correcting products? I think my makeup routine is long enough as it is so I don't think I have the luxury of adding another step. But I'm curious to hear how you guys incorporate them into your routine!